Now you can bring Waves the Seal with you wherever you go! Ty Flippables Clips snap easily onto backpacks, suitcases and more, making them the perfect school or travel companions. Washed in oceany blue from his fins to tail, this sweet plush seal makes a splash. 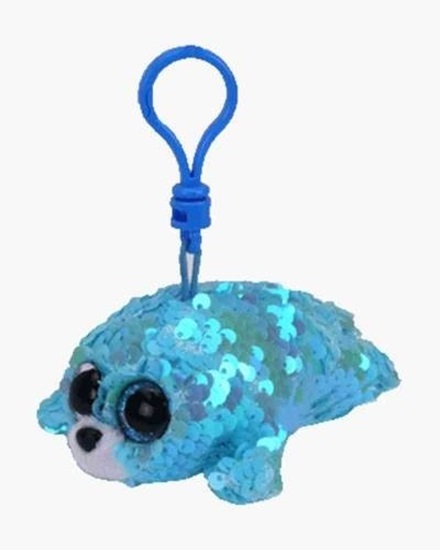 Brush his solid blue reversible sequins up and down to reveal an iridescent finish that makes this small stuffed animal glisten like the sun-drenched sea. Waves is approximatley 3.5 inches tall and is perfect for ages 3 and up.